Satou Tetsurou JA0CAW has shared a couple of recordings of the JT4G beacon made by JA5BLZ. The recordings can be downloaded here: 180912_0420.wav, 180912_0440.wav. These have been made with WSJT-X, so they start on the top of the UTC minute according to JA5BLZ’s clock. 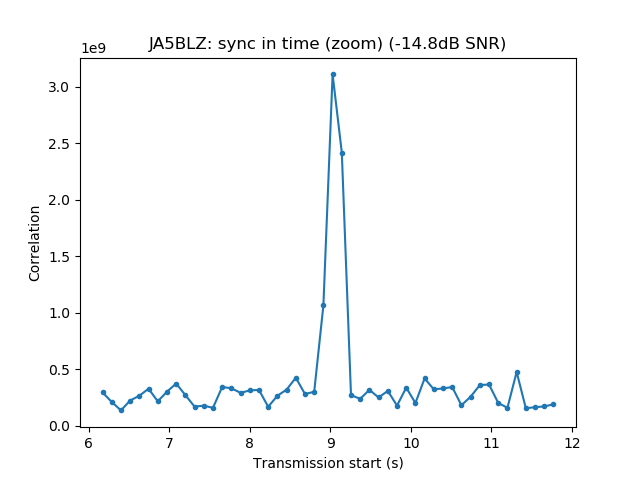 I have used my JT4G detection algorithm to find the start of the DSLWP-B JT4G transmissions in JA5BLZ’s recordings. The results are show below. 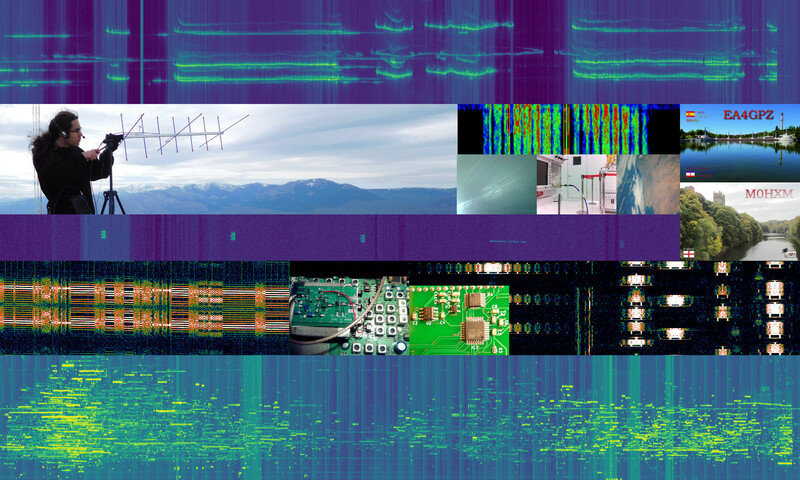 We see that the start of the transmission is received between 8 and 9 seconds after the start of the UTC minute. 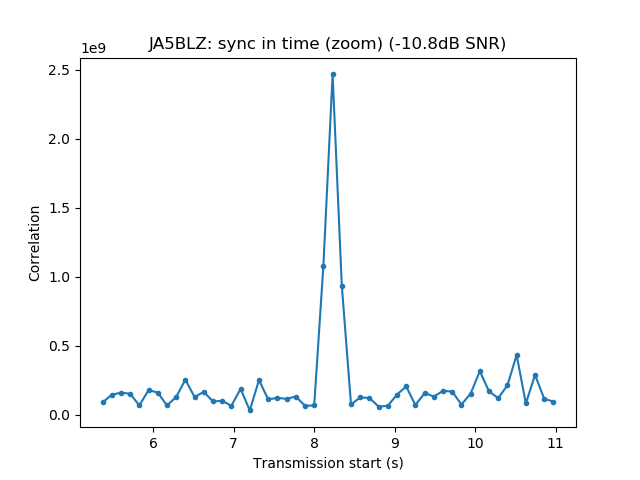 Comparing these results with the first JT4G test, where the transmission starts between seconds 2 and 3, we see that the DSLWP-B clock is running approximately 6 seconds behind. During today’s tests, it seems that the clock problem persists. See for instance this report by Ferruccio IW1DTU. It will be interesting to see how this problem evolves, and whether the DSLWP-B clock can be set remotely. Thanks Dani, I think some of us will be using your decoder to determine how much time to shave off of the WSJTx wav files before trying to decode them again. Better using the WSJT-10. (EME software). There is tuning the time in the Dsec window for abut -6 -9 ..
That’s All ! Good Luck.